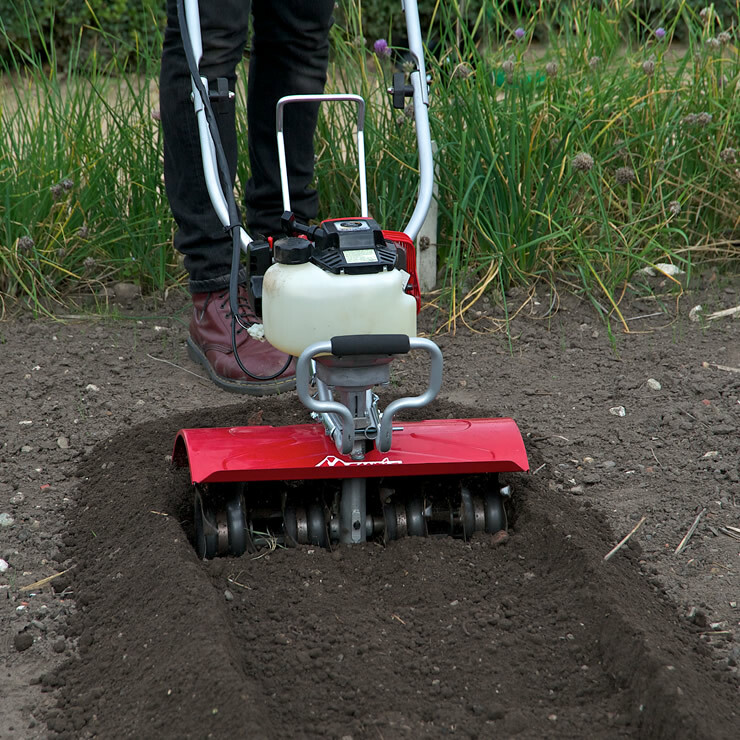 Our Widest, Most Powerful Tiller Ever. 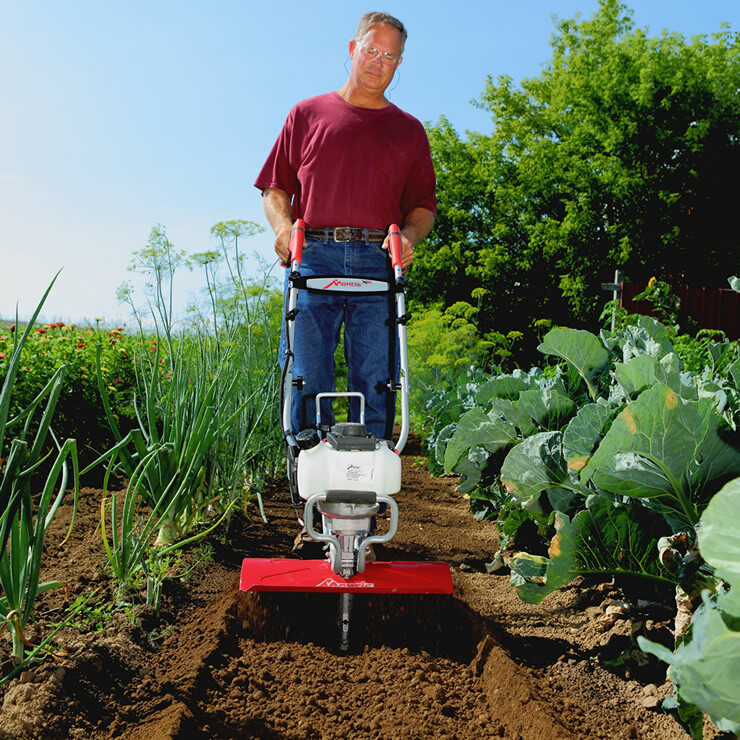 This extra-wide rototiller is designed for large gardens and yards. 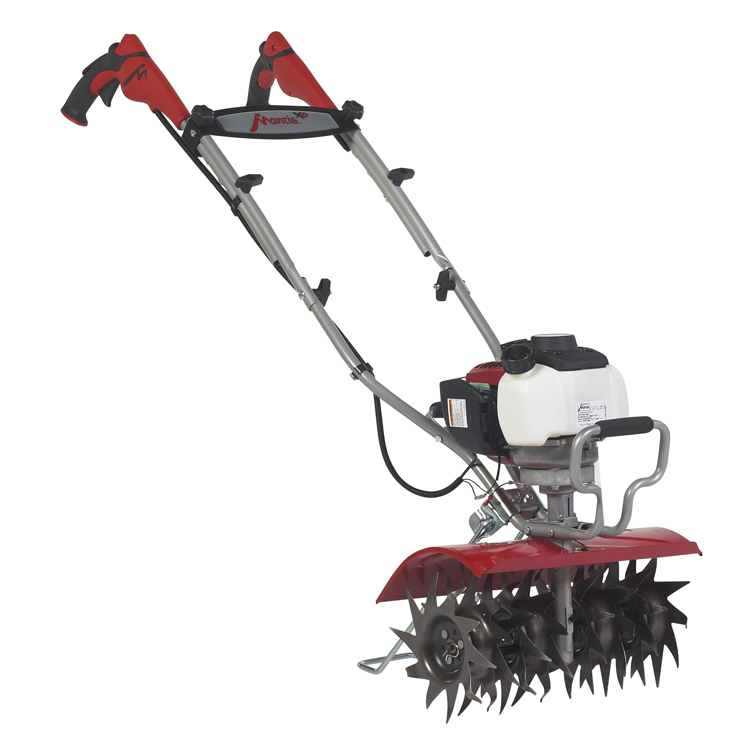 Powered by an easy starting Honda® 4-cycle engine and combined with specially designed tines, this tiller matches the performance of a big, front-tine tiller but is easier to use! 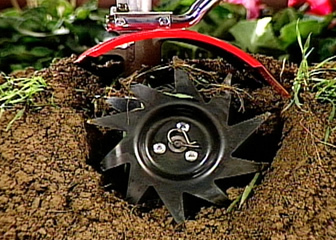 Breaks through sod, compacted soil and hard clay. 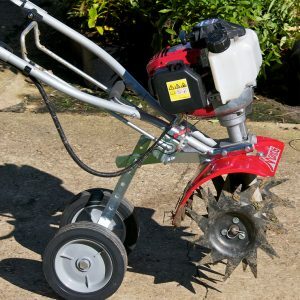 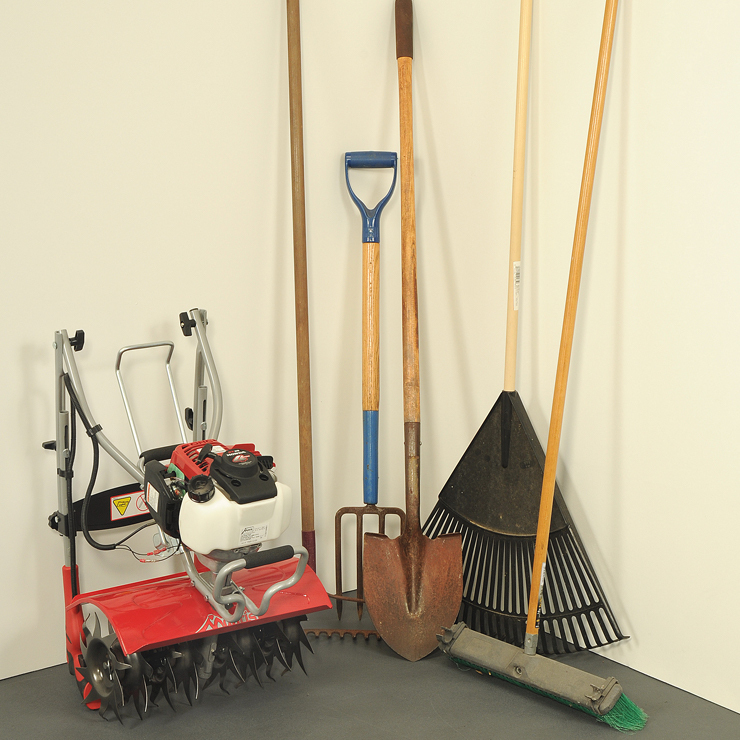 At 16″ wide, it makes short work of creating a garden and other big digging jobs around the yard! 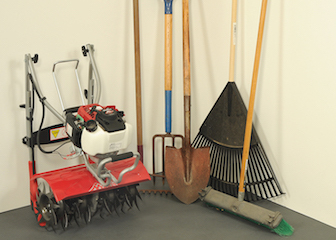 through new ground and sod, compacted soil… even hard clay. 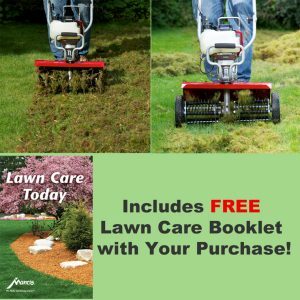 At 16″ wide, it makes short work of big yard jobs! 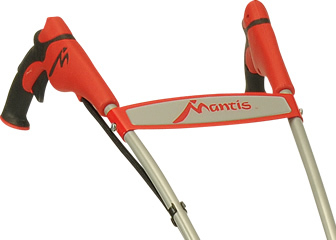 The Mantis® XP Extra-Wide 4-Cycle Tiller/Cultivator easily gets into tight places where big, front-tine tillers can go. 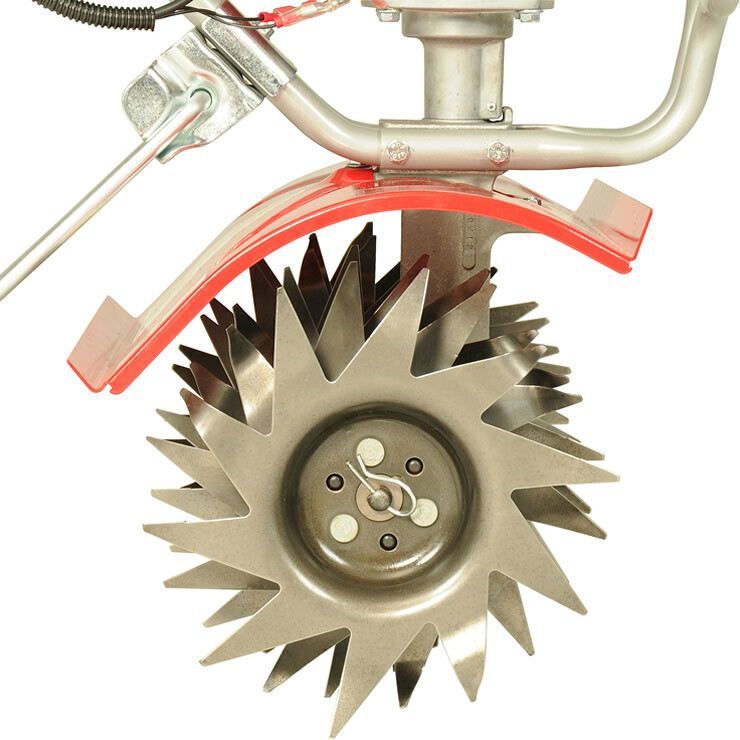 Lightweight – just 34 lbs.